The crew over at The Information released two pretty wild articles today that paint a not-so-flattering picture of the current corporate atmosphere at Nest, the one-time darling smart home product maker that Google acquired a couple of years back for $3.2 billion dollars. The drama side of things isn’t necessarily a subject we focus on – though this stuff is quite juicy and entertaining – so we’ll instead take a look at the other side of the two reports, which is the company’s product line-up going forward. The product-related information also includes a future product for Google, that may be a direct Amazon Echo competitor. According to sources of The Information, Nest is going to take on home security with its next series of products. Those products, for one, will include a product under the codename “Flintstone,” which will be a wireless hub and the “brains” behind it all. Think Piper or Canary, two products that act as both security cameras and a hub for notifying you of other happenings in your home like relaying back information for temperature and other alerts. Flintstone works with Thread, a wireless standard that Nest created to take over home communication and relay information back and forth between other smart home products. Unfortunately, because Thread isn’t a standard, they have struggled to get it to play nicely and have been working on Flintstone for roughly three years. Woof. Anyone remember Dropcam Tabs? They were a product that Dropcam was planning to release in August of 2014 just before Nest acquired them. The idea was that you could place little security tabs on the windows, doors, or fences around your house and receive notifications on your mobile devices if those windows, doors, or fences were opened. They were a brilliant little idea that used Dropcam Pro cameras as a hub. Nest killed Dropcam Tabs before they could ever ship because, at least according to this report, they were already working on their own similar solution. Again, that was in 2014 and Dropcam was ready to ship, yet it’s now 2016 and Nest hasn’t introduced a single thing. Nest’s Dropcam Tabs-like product is supposedly called “Pinna” and they are wireless security sensors. They of course, use Thread to communicate, but since Nest can’t figure out how to properly implement Thread, they also seem to be delayed, probably because Flintstone, the hub that allows everything to communicate over Thread has been in the works for three years. Finally, Nest is said to be working on a product called “Keshi,” – no not Ke$ha – that are Bluetooth tags that could be attached to your keyring or bag or tossed in a purse to automate some of your Nest system. Think locking or unlocking home doors or turning your Nest security system on and off as you leave or come home. You get it. Outside of Nest products, Google is said to be working separately on a product that will be very much like Amazon’s Echo. For those new, Amazon Echo is a cylindrical tube-shaped speaker that acts as a smart hub for your home. You can give Echo commands for setting timers, playing music, checking the weather, reading today’s headlines, and controlling your Nest thermostat, all with voice. The home is largely thought to be a major area for growth for tech companies and so it makes sense that Google would want to do whatever they can to compete with Amazon’s early lead in the space. 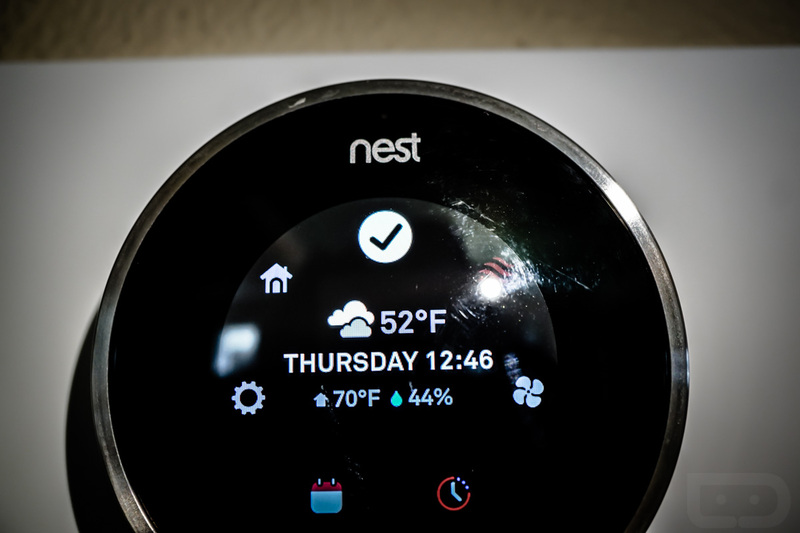 According to The Information, Nest wanted in on this project, but the lead of it on Google’s end “rebuffed” that idea. Any of this excite you? I, personally, am ready for some new smart home products from Nest. It’s been years since they released anything new, outside of next-generation models of their Thermostat and smoke detectors. And no, we don’t count the repackaged Dropcam Pro as the Nest Cam as a new product.